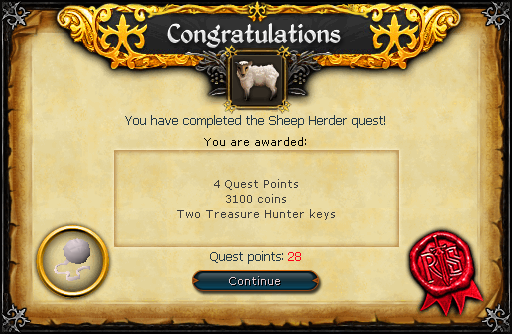 Sheep infected with a deadly plague have escaped into East Ardougne. 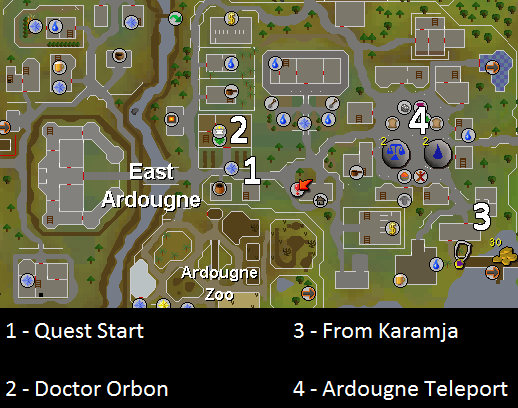 Can you find them before they infect the citizens of Ardougne? 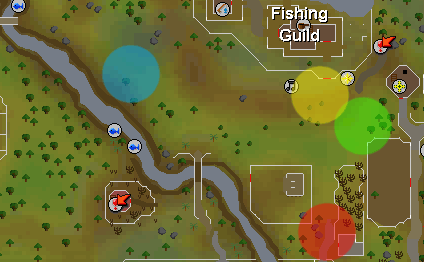 Begin by talking to Councillor Halgrive in East Ardougne. You'll need to talk to Councillor Halgrive. He's worried because some sheep escaped from a farm near West Ardougne and it appears that they're infected with the plague. He wants someone to herd them into an enclosure, kill them and dispose of the remains before the plague spreads into East Ardougne through them. You'll volunteer and the quest will start! He gives you some sheep poison and tells you to talk to Doctor Orbon so that you can buy a plague jacket and trousers. Note: If you lose the sheep poison, Councillor Halgrive will give you more. Herding the sheep may take a while and be extremely frustrating. When prodding the sheep, they will walk the opposite direction from which you're prodding them. For example, if you're prodding them from the south they will walk north and so on. They cannot walk diagonally. Sometimes the sheep will just start walking away after they've finished moving from your prod. If this happens, just prod them again in whatever direction so that you gain control, as it's harder if you try to overtake them and prod them back to where they came from. Don't worry if you get your sheep stuck in a corner, because it will reset to its original position after a few minutes.